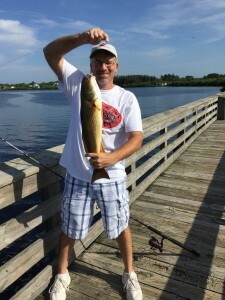 If you look up how to catch redfish online you’re going to find that the suggestions for bait varies, and that’s understandable because it does change from day to day since it comes down to the population of the baitfish. If you want to catch on a consistent manner, you’ve got to be prepared. Generally, the season determines where the fish are and what they are going to feed on. When it comes to catching reds, it all boils down to the bait, and this in turn is influenced by the seasons. Baitfish go with the weather and more often than not they’re after warm water, so during the cold months they go down south in huge schools. During spring you’re going to find them along the Gulf, Atlantic and Pacific coasts. 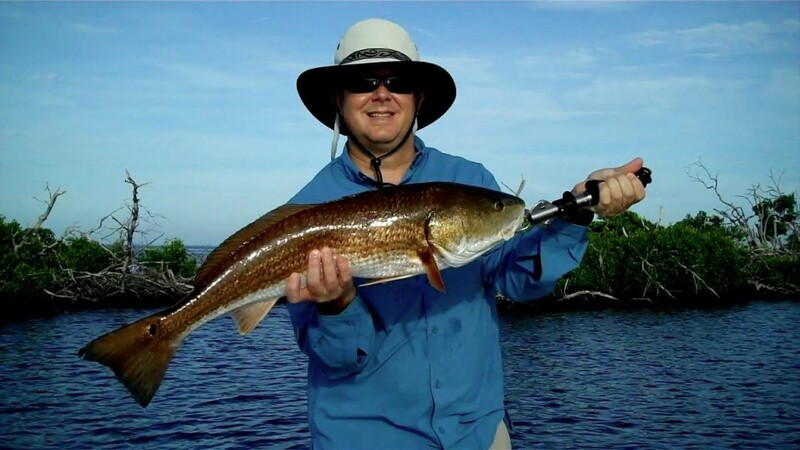 If you’re serious about catching redfish, just follow the baitfish and the reds will be there. If you’re after the big reds, they’ll be in reefs and offshore shipwrecks during the cold months while the smaller ones are in inlets. Redfish like pilchards, greenies, mullet and menhaden shad. Of all the fish, mullet is your best option as a live bait, so head off to the ocean and start fishing off the beach. Make sure the day is calm and clear, and be patient. You can find huge schools of mullet along the north of beaches during spring. They shouldn’t be hard to find since the mullet are thick enough you can walk on them. Other baitfish can be found close to the surface, moving and flipping with the tide, and you just need to follow these to find redfish. If you don’t want to use a live bait, dead bait will do provided it’s large and on a 7/0 hook. You may also want to look where baitfish are being taken by the currents, which is typically a channel ledge where you’ll see redfish all over. During summer the redfish will move into estuaries like bays, rivers and creeks. Some of them may be around jetties or rocks, but the majority are spread around. You’ll also find them at outgoing tides searching for food, with shrimp, crabs and crustaceans their most frequent prey. Since crabs and other crustaceans move along mud and grass flats during high tides, you’ll find plenty there, so they’re ideal for redfish fishing. Crabs, shrimps and other crustaceans are the best live bait, and if you’ve got a fishing boat, position it so that you’ll be able to catch the reds as they leave the flats. Baitfish in the inlets are usually pogies so they’re also good baits. This is the spawning season for redfish and if you know where this happens, you could catch big ones, as large as 30 lbs. In most states though, the big ones fall under the catch and release law but it’s still a challenge to try and catch one. If you’re up to the task, try fishing for redfish at inlets or the rivers in and around these. Redfish use the same place to spawn every year so it should not be difficult to find one. For the best results, go to a deep channel next to a shallow or flat area where the reds can feed. Big redfish like to feed on the blue crab, so a 3 inch crab is good bait. If small ones are not available, get a large crab and cut it in half. Cut off the legs and the hard shell so part of the crab is visible. Go to the channel edge and fish at the bottom. Remember that you’ll going after some big fish, so make sure that you’ve got a large tackle to haul it in. Big fish will struggle a lot so make certain to get them on your boat as soon as possible, take a picture and measurement and then release back into the water. If this is your first time to go after a large fish, it might be best to have someone with you to help in hauling in. It’s hard to fish for reds during winter because like other fish, they tend to be lethargic. The big redfish you find during the fall will move into wrecks and reefs deep underwater, around 60 to 100 feet, while smaller redfish can be found in shallow estuaries and creeks. Don’t catch the deep water reds because pulling them up to the surface will kill them due to the pressure difference. You can however, fish for those in shallow waters. Check if the water is cold because if it is odds are the fish will be in a deep creek hole. Wait for the sun to come up and warm the water. When it does, redfish will appear and you should be able to catch some using crabs or shrimp as bait. Artificial lures can be as effective as live bait. There are many types of lures available such as jigs and water top plugs, and they can be effective. Deep running crank baits and spinner baits in particular have proven popular. If you’re going to use an artificial lure, make sure that it’s similar to the real baitfish so the reds won’t be able to tell the difference. As you can see there are many types of redfish bait available and just as many ways to catch them. The seasons also play a part as shown above, and this will determine the method you use for catching them. Keep in mind though that these are just guidelines. Feel free to try a different approach and see if it works. Redfish, like all other fish, can behave in strange ways. Sometimes they just won’t come up and bite. But that’s part of the challenge and what makes it fun. If you don’t catch any during your first try, relax and give it another shot. You need to be patient and sooner or later you’re going to catch one of the big ones.